Approximately 4.8 km (3 miles) to the south of Hsinshe Army Air Base is Toukeshan Base. It serves as a detachment for the 602nd Aviation Brigade in Hsinshe. Unlike Hsinshe and several other army air bases, which are based on the old airfields built by the Japanese before 1945, Toukeshan is relatively new. 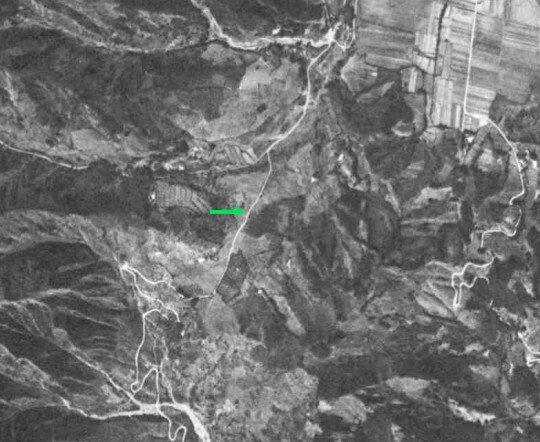 In the following 1969 CORONA satellite image, there was nothing but a narrow road (indicated by the green arrow) at its current location. A Google search reveals that the 602nd Aviation Brigade (designated the 2nd Aviation Group at that time) relocated from Lungkang Army Air Base to Hsinshe and Toukeshan in August 1976. So it can be concluded that the base was built between 1969 and 1976. But no further information could be found. Although Google Earth has not yet made available high-resolution imagery of this area as of today, TerraServer provides the watermarked imagery with 0.6-meter resolution. 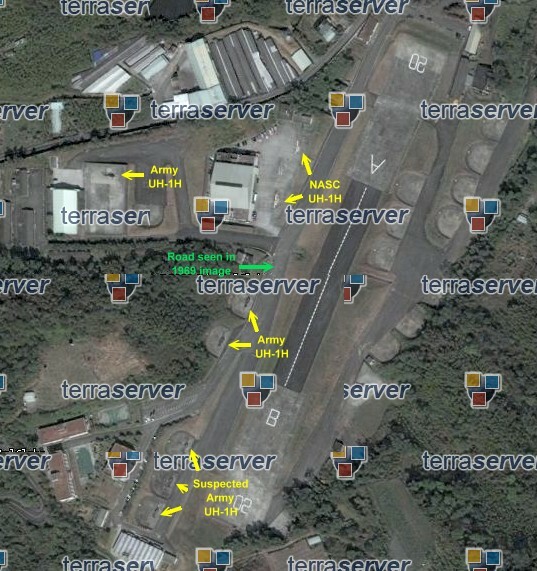 I used photo processing software to stitch together several TerraServer images and got the image below, which reveals the runway orientation (02/20) and even several helicopters. 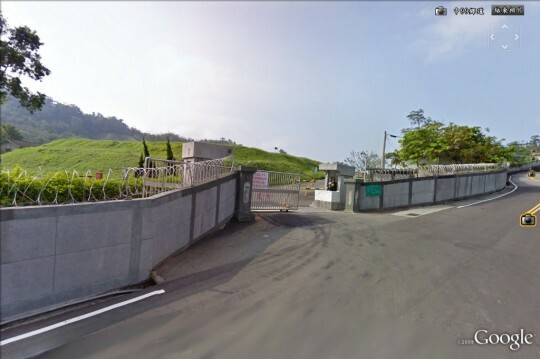 Nonetheless, Google Street View has photos of the gate to the base, one of which is shown below. If you want to explore it on Google Earth, the kmz file is here. Heard somewhere in the last few years that a couple of ROC Army fixed wing aircraft is stored in the hangar in this axillary airfield…. But why? This airfield has a relatively short “runway”. Don’t know, but that’s from memory. Also, there’s should be the only ROC Army OH-6A there…. But the length of the “runway, from end to end is about 1,700+ feet, so that would’ve work for O-1/L-19, which is only 400 feet. There’s an OH-6A preserved in Kueijen (歸仁). I’ve outside of Toukeshan base. It is located in a valley. It would need some skills to fly a fixed-wing aircraft in and out of that area.